Every child in Portsmouth deserves the best possible start in life and the support that enables them to fulfil their potential. Children develop quickly in the early years and a child’s experiences between birth and age five have a major impact on their future life chances. A secure, safe and happy childhood is important in its own right. Good parenting and high quality early learning together provide the foundation children need to make the most of their abilities and talents as they grow up. 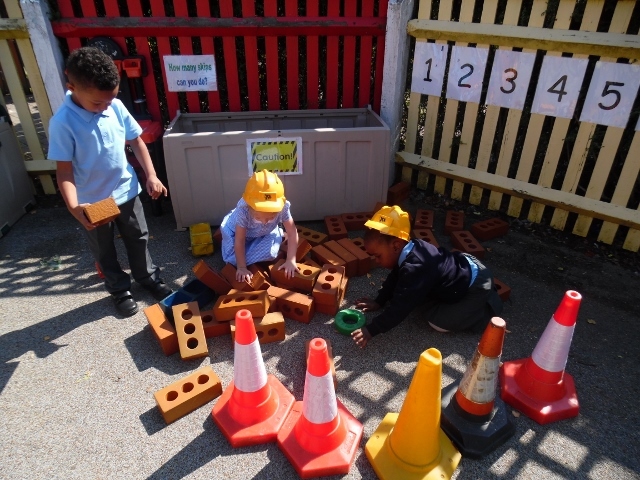 As a city we have high expectations for children at the end of their foundation stage and high expectations of early years settings who deliver provision across the city. All settings will be encouraged to take a strongly directive approach to ensuring that vulnerable children, in particular, experience a varied programme of activities, to give a high priority to ensuring regular one to one communication with children who need it most, and to provide as much support and encouragement as possible to help parents nurture their children’s well-being and development at home. Portsmouth is proud to having a wide range of high quality early years provision. There are approximately 90 childcare providers on non-domestic premises (e.g. nurseries and pre-schools), over 100 registered childminders and 10 school nursery classes. 94% of the registered provision has been judged by Ofsted to be good or outstanding. The quality of early years settings is important but equally the support of health visitors can have a profound impact on outcomes and we will be strengthening this support to the most vulnerable families by providing extra support at home around attachment, emotional wellbeing and communication development. This forms part of our work in terms of the implementation of the Prevention and Early Help Strategy to ensure the right support is provided for the right families at the right time. Our highly skilled Early Years and Childcare Team have developed this brand new varied and engaging training programme. Our team brings a wealth of qualifications and experience from Early Years Teachers, Early Years Ofsted Inspectors, experienced Childminders and Nursery Managers. We have strong partnership links and access to the regional Ofsted Team and other services including Educational Psychology, Portage, Health Visiting and EMAS. Quality improvement: the team have a wide range of support and challenge opportunities across our workforce development programme. This includes specific workshops on key topics, site visits to provide practical support and bespoke training. For further information, please visit the traded services website. Interventions to influence best practice and secure strong outcomes for children within the EYFS: This document has been created to support Year R practitioners and the intention is that it will evolve and grow. If you have an intervention that works effectively to develop the skills and learning of your Year R children and you would like to share this with others, please do get in touch.